📣Please read Robert Hill's story. 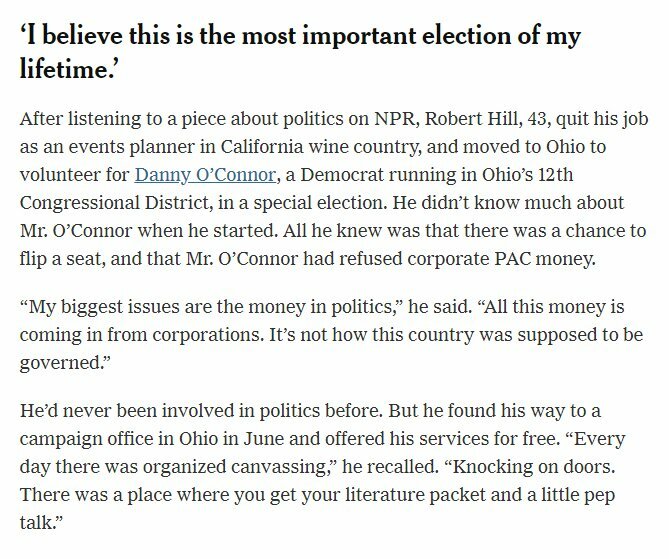 He quit his job and moved to #Ohio to work for #Democrat Danny O'Connor, now running for U.S. Congress OH-12. 🌽🗳️Matt Yust moved to #Iowa for five months to volunteer for Swing Left @swingleft. 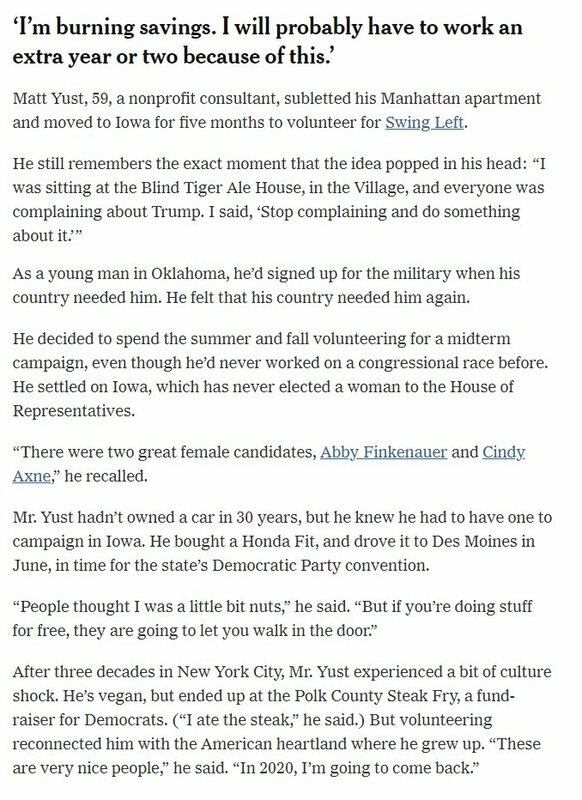 Volunteering "reconnected him with the American Heartland where he grew up. These are very nice people. In 2020, I'm going to come back." 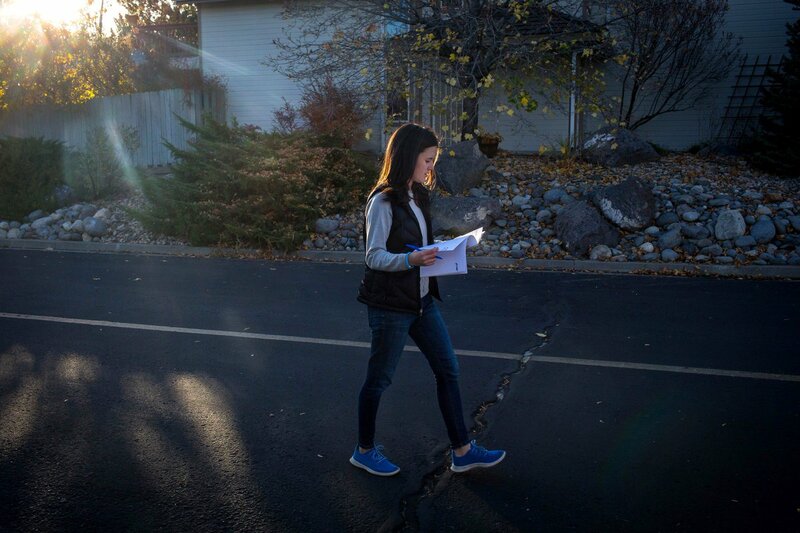 🖼️Grace Hamilton of Sammamish, WA quit her job and made a 9,000 mile loop travelling around the country, canvassing for candidates that she had calculated needed the most help. Her goal? 34. She made it to 28 candidates and chronicled her journey on Instagram. 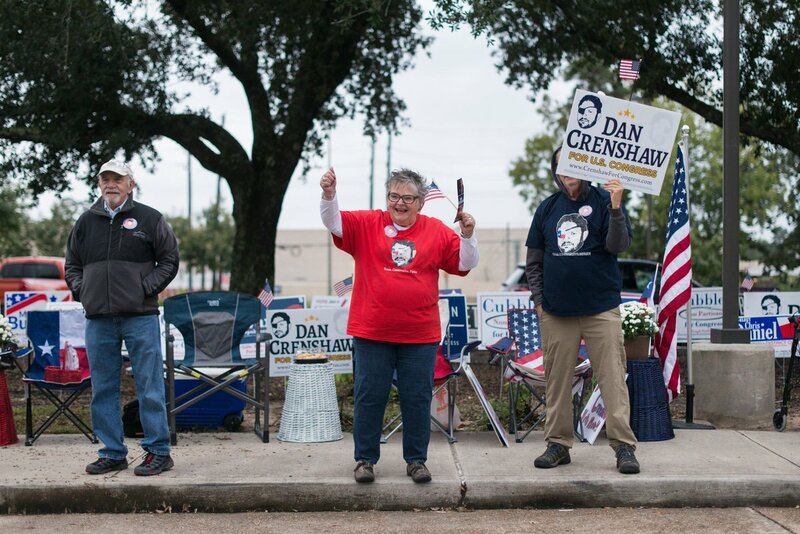 👩‍🏫Margo Rushin, a retired schoolteacher in Kingwood, TX volunteered for Dan Crenshaw, a candidate for U.S. Congress TX-02 who is a retired Navy SEAL. 🦶When the office manager broke a foot, she took charge! 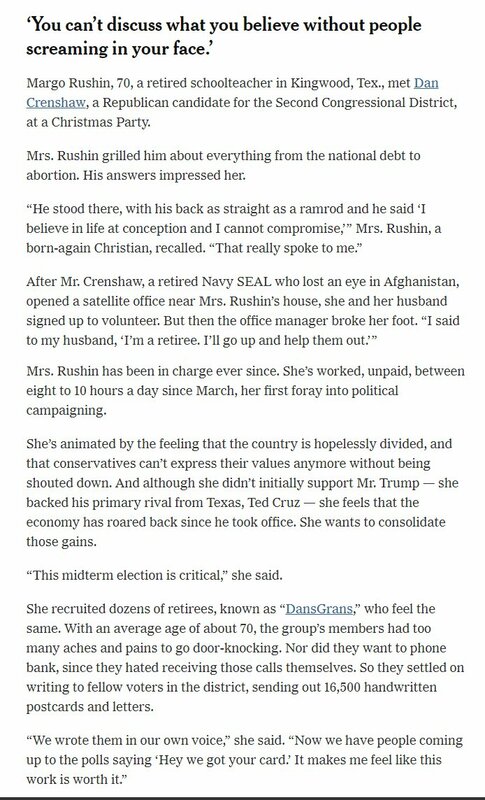 She recruited dozens of retirees known as "DansGrans." 💥For Robert Hill, who moved to #Ohio, the experience was life-changing. 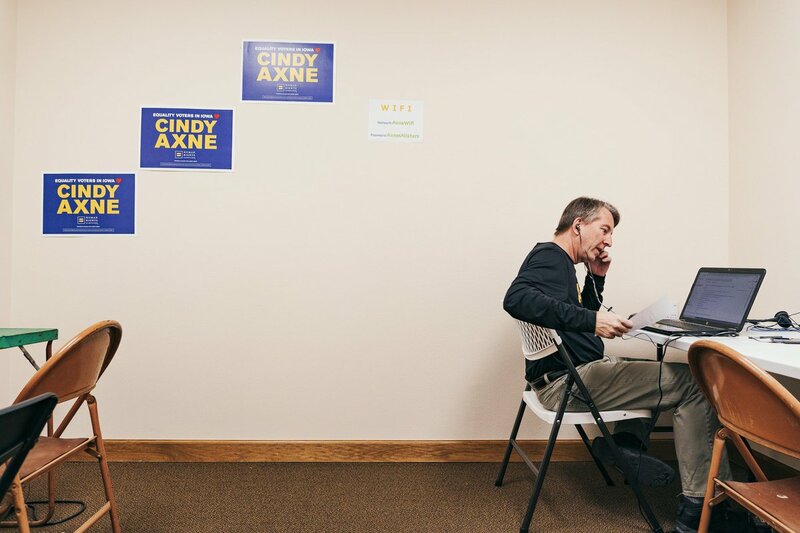 👇In the picture below he is volunteering for Susan Wild, the #Democratic candidate for U.S. Congress PA-07. 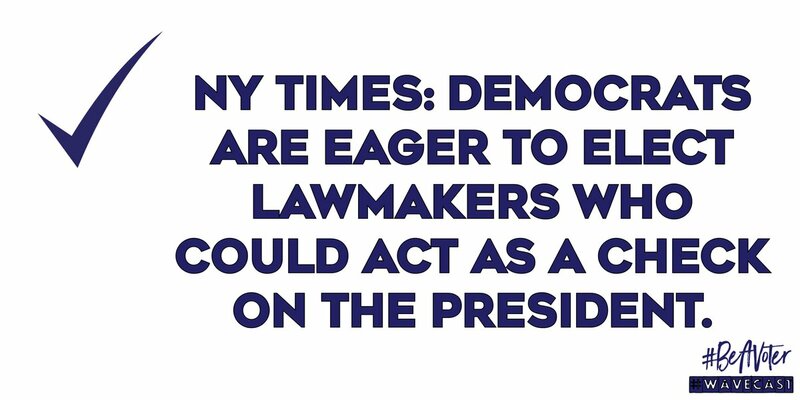 🗞️Via @nytimes' Farah Stockman @fstockman: Democrats are eager to elect lawmakers who could act as a check on the president. 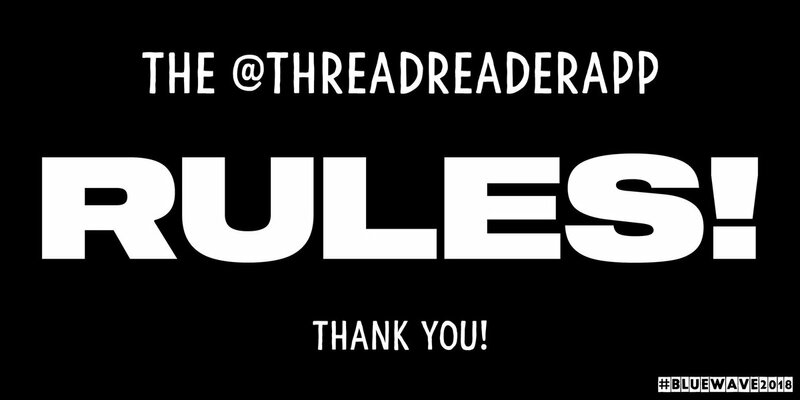 @threadreaderapp please unroll. Thank you in advance! If you show up to the polls and you are not registered to vote, here is what you can do. 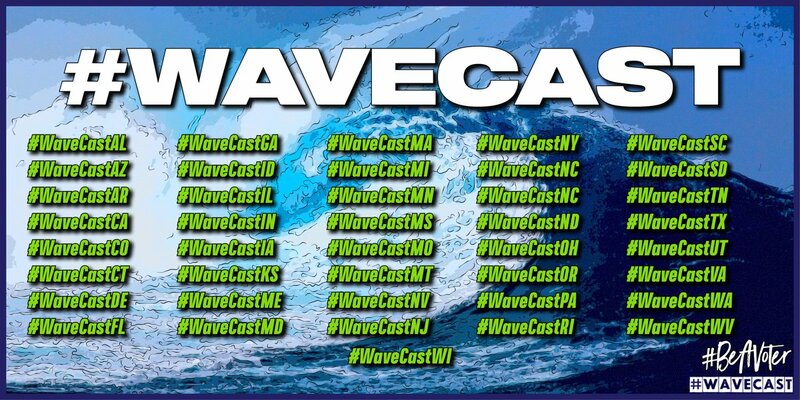 Please retweet this to spread the word. 17 states plus the District of Columbia offer same day registration (SDR), any qualified resident of the state can register to vote and cast a ballot all in that day. Provisional Ballot Laws are laws that require a provisional ballot upon verification of the identity of the voter if a voter fails to present proper identification at the polls or when registering before voter registration deadlines. 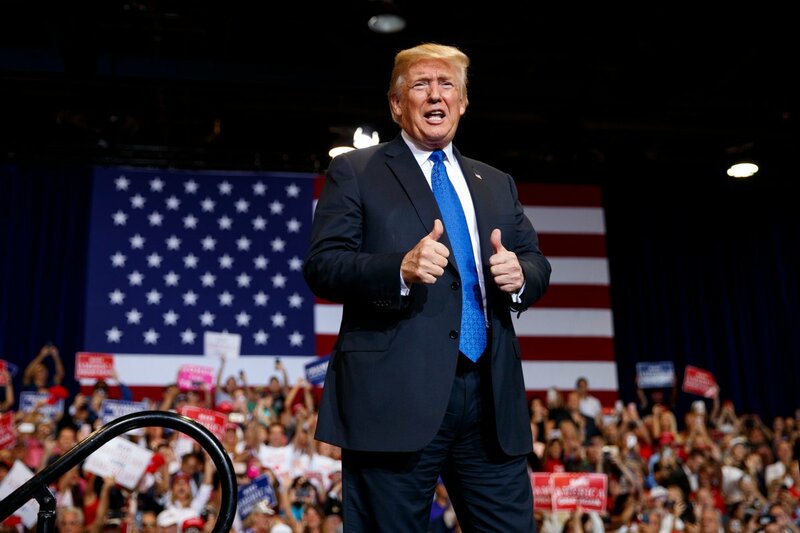 "America is winning again," Trump said. "And America is being respected again because we are finally putting America first." 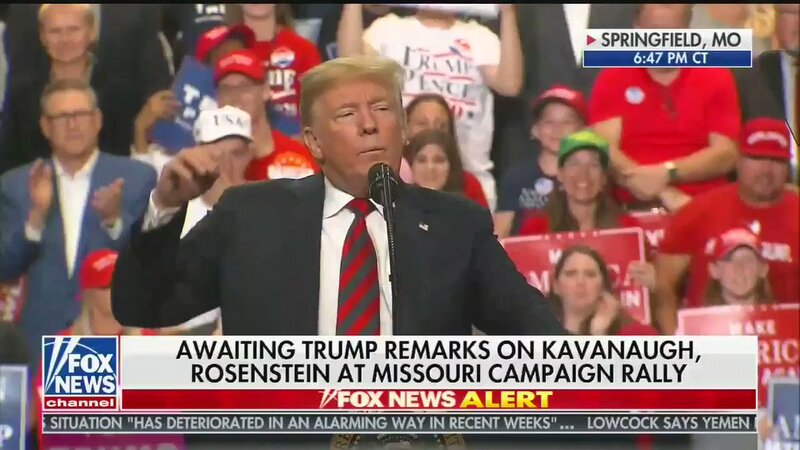 Trump on Kavanaugh: "He was born for the U.S. Supreme Court and it's going to happen." @AstorAaron @TheAtlantic @davidfrum That may feel good. In reality, the problem is US. It's apathy. We complain or sit out because we don't get our way. Congress is elected by US. If voter participation is < 50%, we deserve the congress we get. Unless we take power with 60-70% participation, it stays as is #vote. 4. 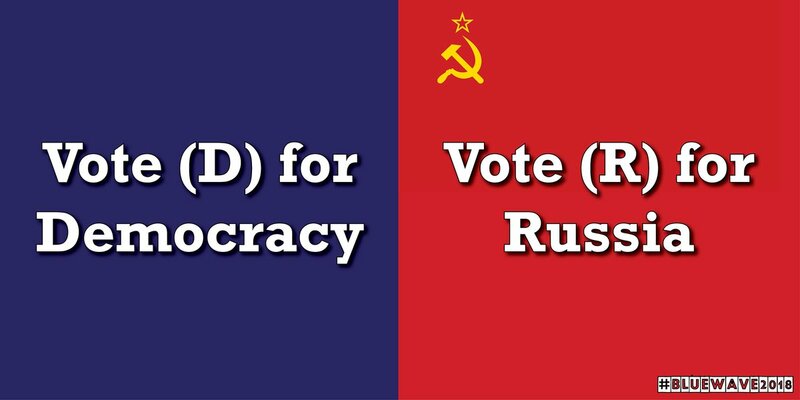 Then get out and vote every 2 years - no excuses! @AstorAaron @TheAtlantic @davidfrum How do we do this? 4. Be inclusive/aware of demographic trends for redistricting. 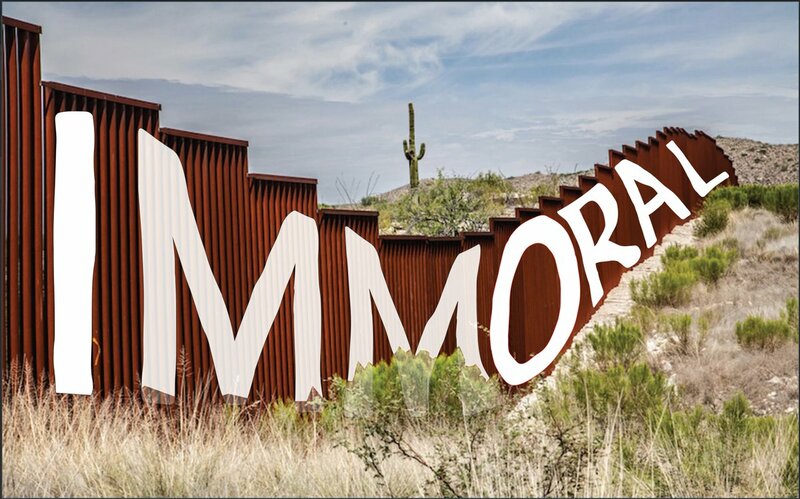 GOP is getting ready for hell. Thanks to their control of Congress, Republicans have blocked most of Democrats’ investigative requests. If House flips and the GOP loses its power, Trump Admin isn't ready for the investigatory onslaught that awaits them.